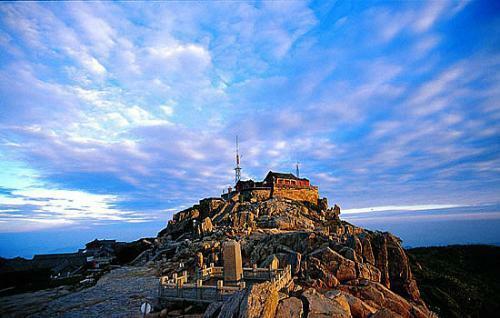 Jade Emperor Summit is the highest point on Mount Tai, which is also renamed as "Summit of Peace". 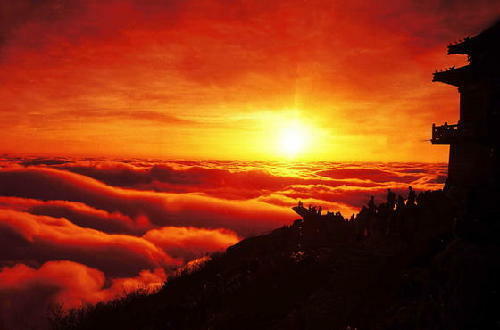 The major hall of Jade Emperor Temple that was built here enshrines the statue of Jade Emperor. 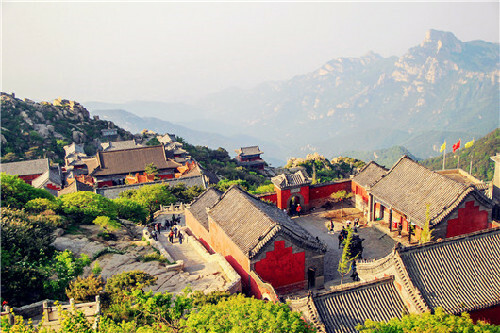 In the center of the courtyard, a stone balustrade surrounds the mountain's highest point, the Summit Stone, which is 1545 meters high above sea level. To the east of the courtyard is Sun Viewing Pavilion and the west is Yellow River Viewing Pavilion. At the northwest corner is the stele with the inscription "The Ancient Sacrificial Terrace", which refers to the site where the emperors set up the altar to offer sacrifices to Heaven.